But that means Eastern Europe starts its fairytale season where colours slowly turn from brown, red and yellow to white. 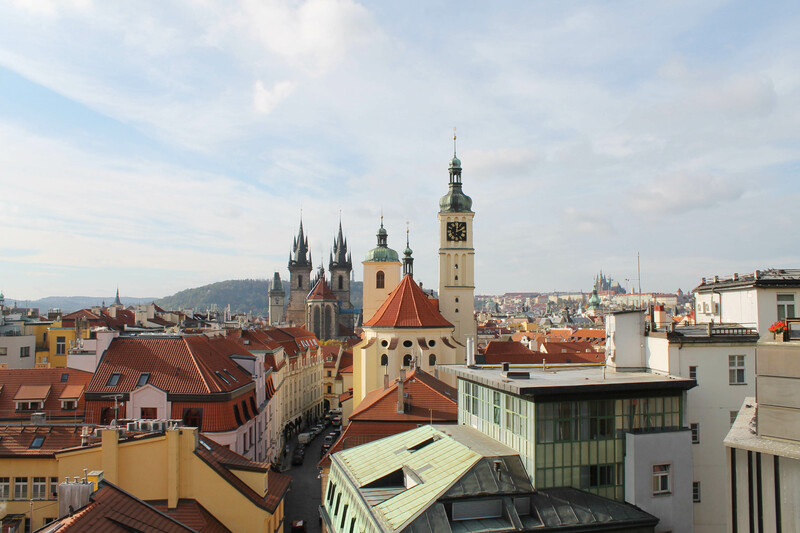 If summertime sadness is leaving you hungry of more travels and you are keen to choose Prague as your next destination, I have some ideas for you. The old land of Bohemia and its rich past left behind castles, religious buildings and defensive towers. 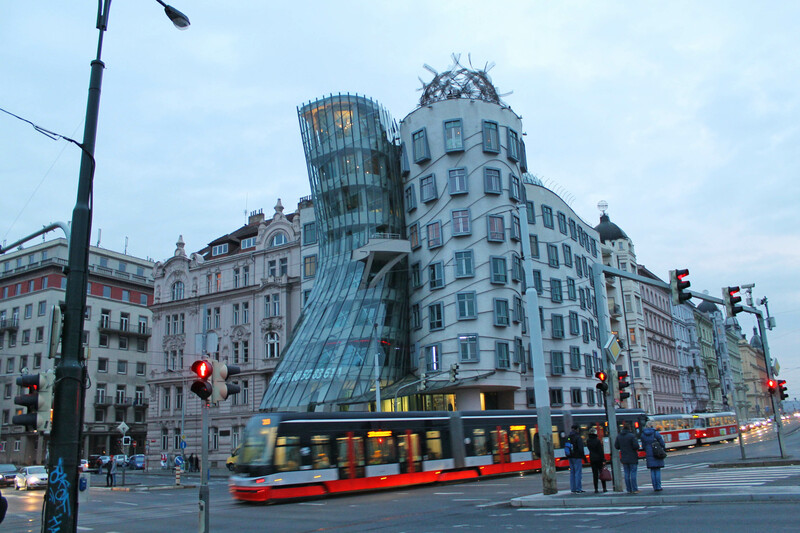 However, new constructions are timidly growing in the urban landscape and yes, good old Frank Gehry is in the list too. That’s why you should strongly consider visiting the land of pastries and castles. The following is a list of some of my favorite places, curated from the biased side of an architect. My favorite is #11, yours? Description: Bohemia, how the Czech lands used to be called, had an innovative monarchy system: an aristocratic republic in all but name, whose nobles elected the monarch. That’s why this complex of buildings, connected one by one to a single unit for the purpose of administration of the Old Town of Prague, is so interesting. Don’t miss the horologe on the façade stunning views from the top. Read more here. Description: The first thing I thought when I visited the magnificent square is why such an important construction was behind other buildings. The second thing I though was in regards to the entrance, where is it? 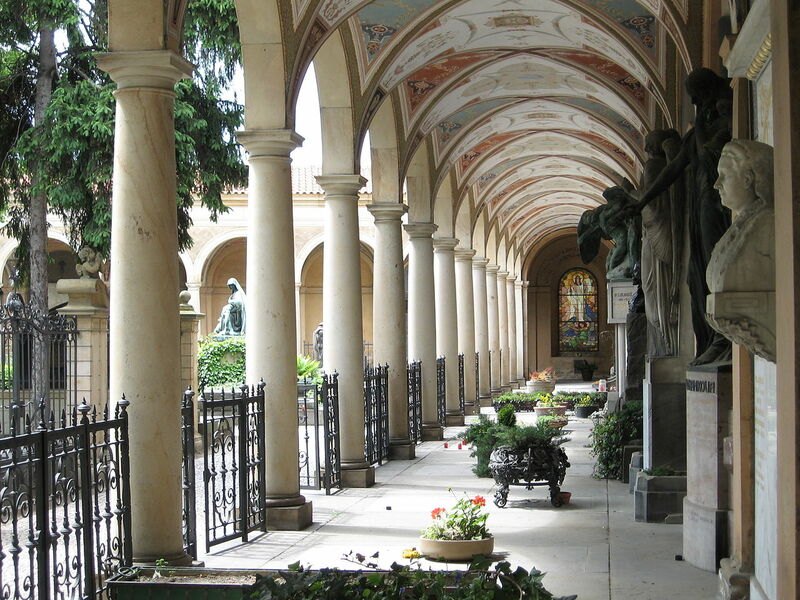 If you finally make it in, admire the spacious interior and show your respects to Tycho Brahe who is buried here. Read more here. Description: At the same time that the church of Our Lady before Týn was under construction, there were a series of defensive towers and walls being built too. As a gate to the Old Town, it was also conceived as a symbolic victory arch through which Czech kings passed on their coronation processions. 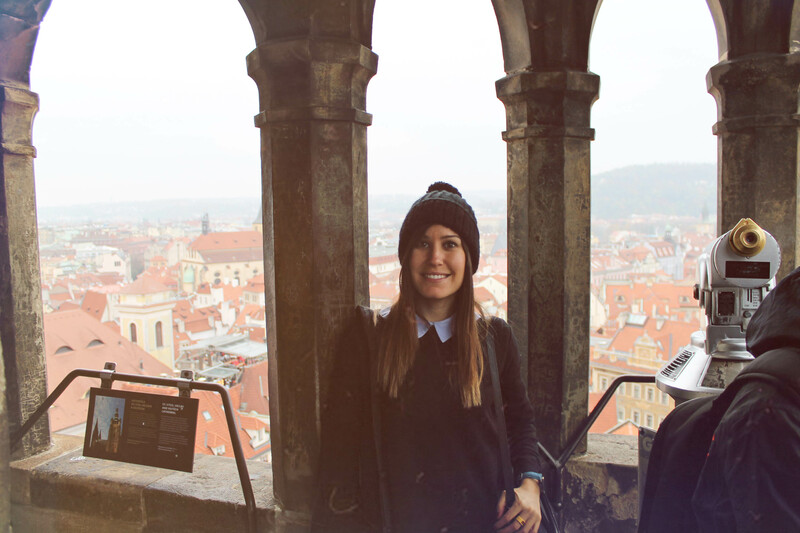 This is the oldest tower of all and my favorite too (the views from the top will make you fall in love with Prague). Read more here. Description: Probably the combination of its Art Nouveau and Moorish style will strike you. 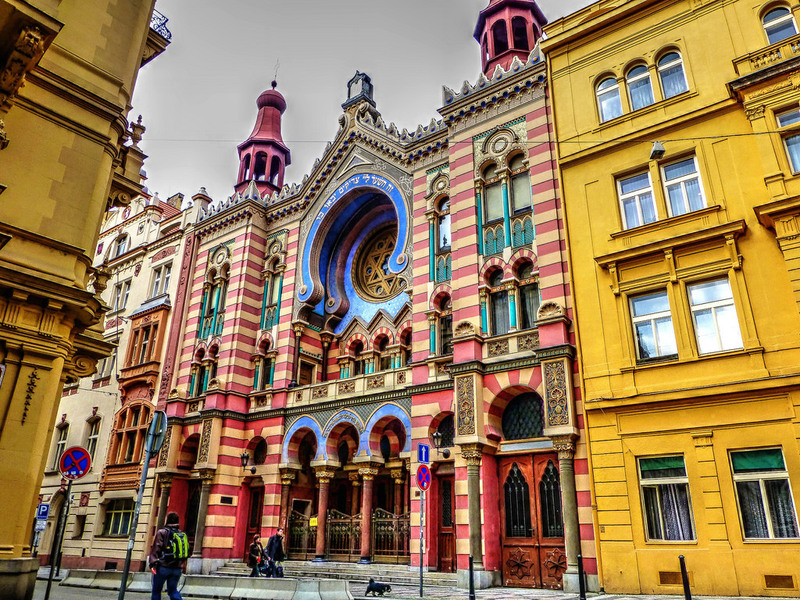 The newest and largest synagogue of the Jewish community in Prague was built in turbulent and exciting times, just before it became an independent country after World War I. Read more here. Description: Although the original building was built in 1938, not without controversy as you can imagine, most of the structure you see today is from the 70s. 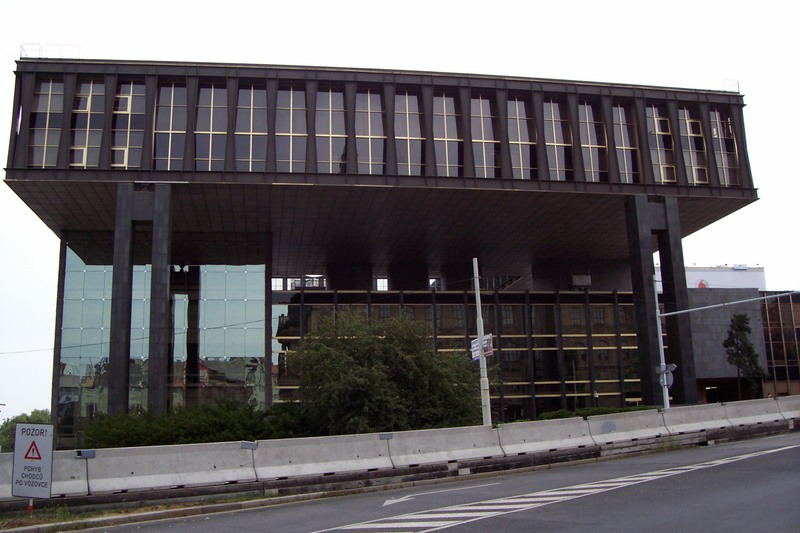 After the dissolution of Czechoslovakia, it was used by Radio Free Europe/Radio Liberty until November 2008 and now it works as a museum. It’s worth a visit, especially if you like Brutalism, the resemblances are curious. Read more here. Description: Speaking of museums, this is the one you can’t miss. 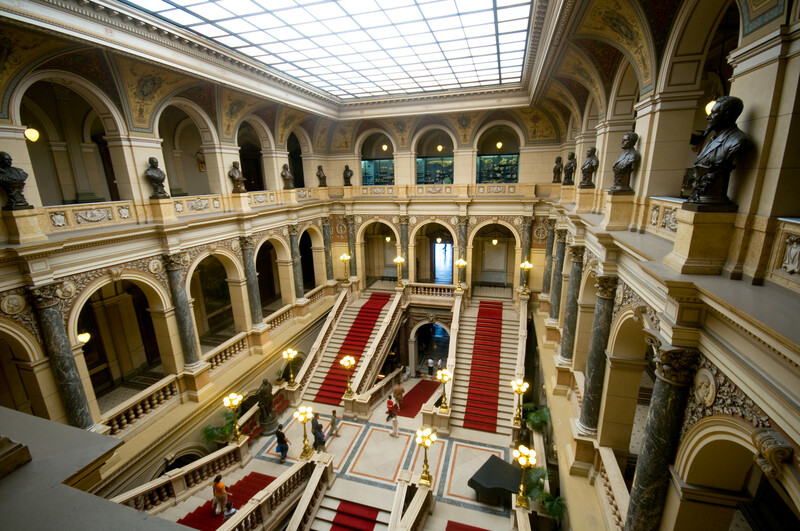 It’s oldest and largest museum in the Czech Republic with natural scientific and historical collections and currently houses almost 14 million items. However, if you are an architecture freak like me, the main staircase would be enough reason to visit. Read more here. Description: At some point in Europe, TV towers pinched the skies over all the other buildings – sometimes even cathedrals. Prague was no less. The structure of the tower is a little unconventional, based on a triangle whose corners are growing up in steel columns – the communist touch is recognizable. Skip the queue for the observatory and enjoy the best sunset views from the restaurant. Read more here. Description: Probably Gehry’s last authentic building before his copy paste trend. And yes, as an architect, I am not a big fan of his formalistic work in general. However, this building is different and I have much respect for it. A smart reinterpretation of the iconic river front on a difficult site where a house destroyed by the U.S. bombing of Prague in 1945 left a void space for years. Bring your sketchbook here. Read more here. Description: One of Pragues’ most recent additions: this office building that replaced The Golden Angel’s Pharmacy (Lékárna U Zlatého Anděla). 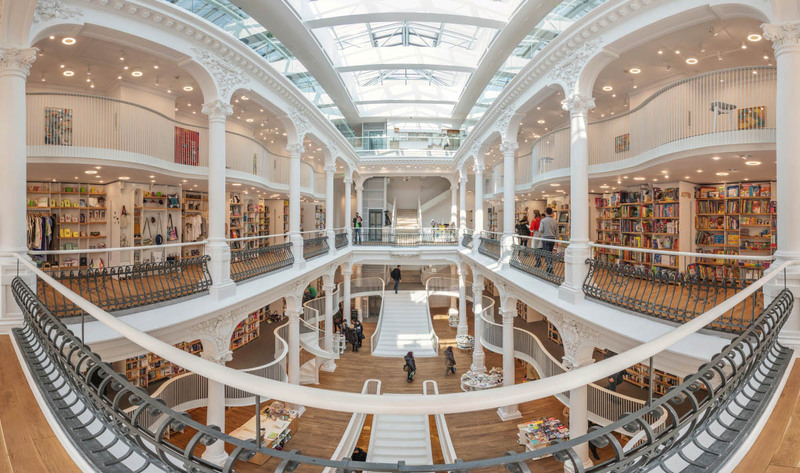 The pharmacy, which had a gilded statue of an angel, gave the name of the area and the current metro station. 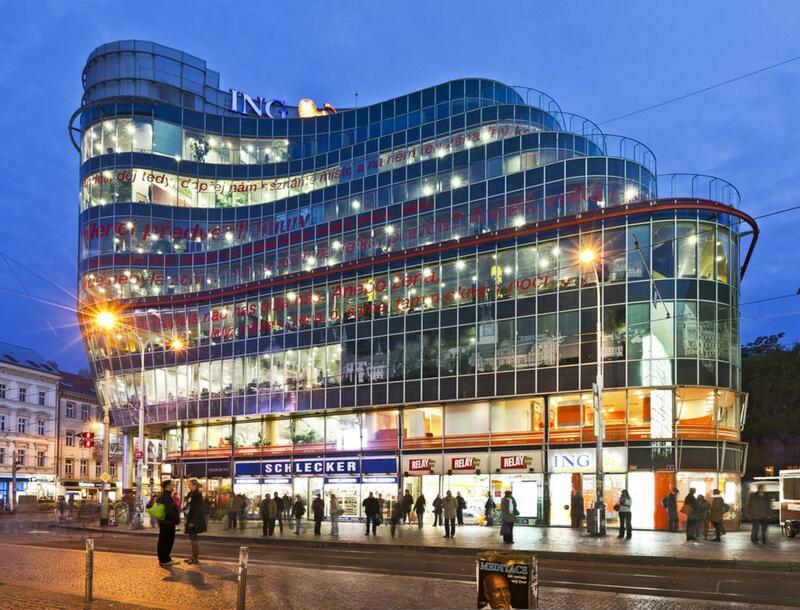 The aim of Jean Nouvel was not to create an open-air museum but to bring a modern piece to the neighbourhood, with respect to the Prague tradition (do you think it fulfilled his goal?). Read more here. Description: Built a little after the Eiffel Tower (1889), this transmission tower overlooks impressively over the city. The tower is 60m tall, which doesn’t seem particularly high until you add in the fact that it sits at the summit of Petrin Hill, which is 318m (1043 feet) high. On a clear day it is possible to see the highest peak in the Czech Republic, Snezka, which is 150km away. Read more here. Description: If the views from the previous tower left you thirsty, make sure you stop at Bellavista Cafe before our next stop: one of the best hidden libraries in the world. 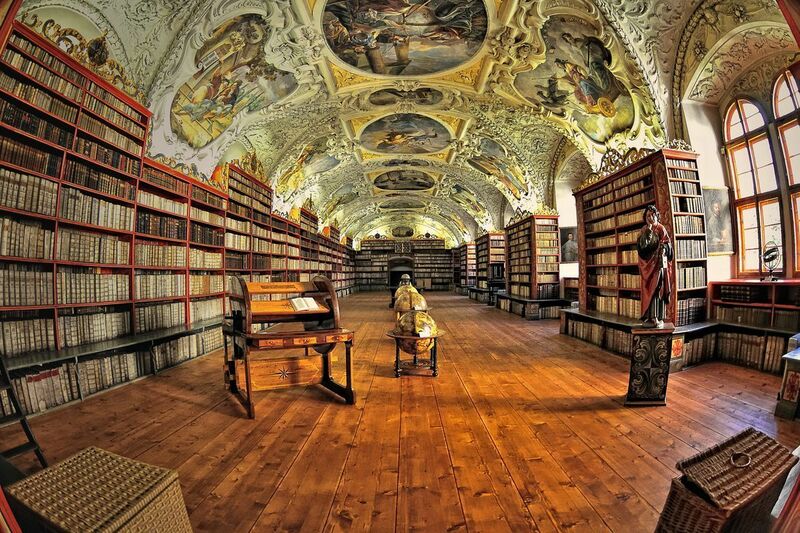 Located in the Theological Hall and despite ransacking by invading armies, it holds 16,000 books. The space is just magical. Read more here. Description: Most people call this Gothic masterpiece “Prague’s Castle” and for good reason, it looks like the castle from the distance. The current cathedral is the third of a series of religious buildings at the site, all dedicated to St. Vitus and although construction started in 1344 it wasn’t finished until 1929, giving me hope that my beloved Sagrada Familia will one day be finished too. Read more here. 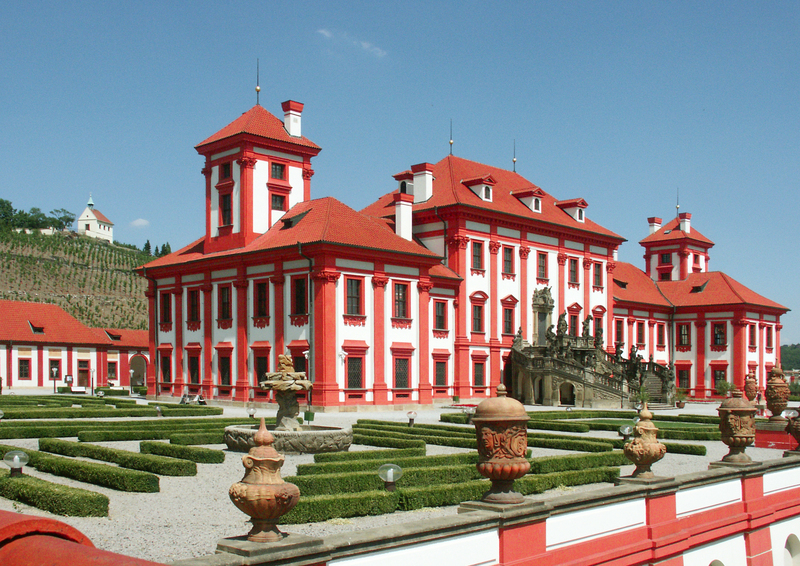 Description: This castle complex dating from the 9th century, is the official residence of the President of the Czech Republic. 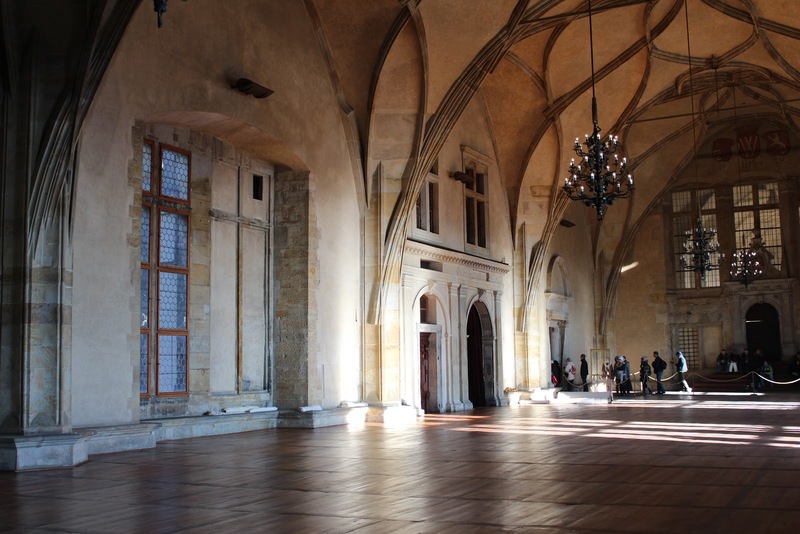 The castle was a seat of power for kings of Bohemia, Holy Roman emperors, and presidents of Czechoslovakia. The Bohemian Crown Jewels are kept within a hidden room inside it. The castle buildings represent virtually every architectural style of the last millennium. Prague Castle includes Gothic St Vitus Cathedral, Romanesque Basilica of St. George, a monastery and several palaces, gardens and defense towers and it houses several museums, including the National Gallery collection of Bohemian baroque and mannerism art, exhibition dedicated to Czech history, Toy Museum and the picture gallery of Prague Castle, based on the collection of Rudolph II. Read more here. 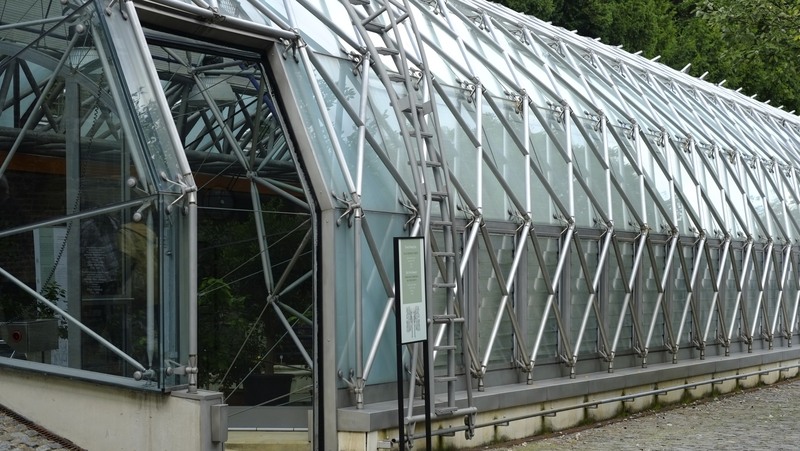 Description: Often overlooked, this modern orangery within the Royal Gardens is a delight to visit. Designed by the Commander of the Order of the British Empire Eva Jiricna, the orangery is used for growing exotic plants, especially citruses. The heating and irrigation are controlled by a computer and the venetian blind control, lighting and ventilation are automatic (this freaked me out a bit!). Read more here. 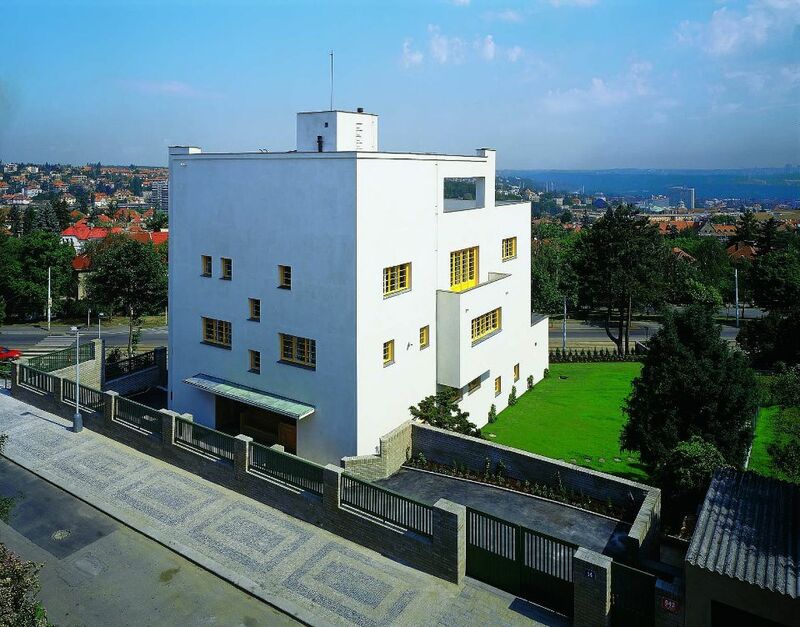 Description: Not many people know that Adolf Loos, best know for designing the most beautiful tower, was born in Brno which belonged to Austria-Hungary at that time. This modest house is one of his remaining built examples of his modernist theories of economy and functionality. The house was commissioned by František Müller and his wife, Milada Müllerová. Read more here. Description: A luxurious Baroque chateau surrounded by beautiful gardens and vineyards, the famous Prague Zoo and a set of botanical gardens packed with exotic plant life. It was built for the Counts of Sternberg, one of the oldest Czech aristocratic families in the country who committed themselves in the Czech political and cultural history (this palace represents their essence). Read more here. Description: I accidentally discovered this wall when I spotted a graffiti of the Chicago Cubs, who had just won the 2016 World Series of baseball. But the wall had many other curious bits of art. 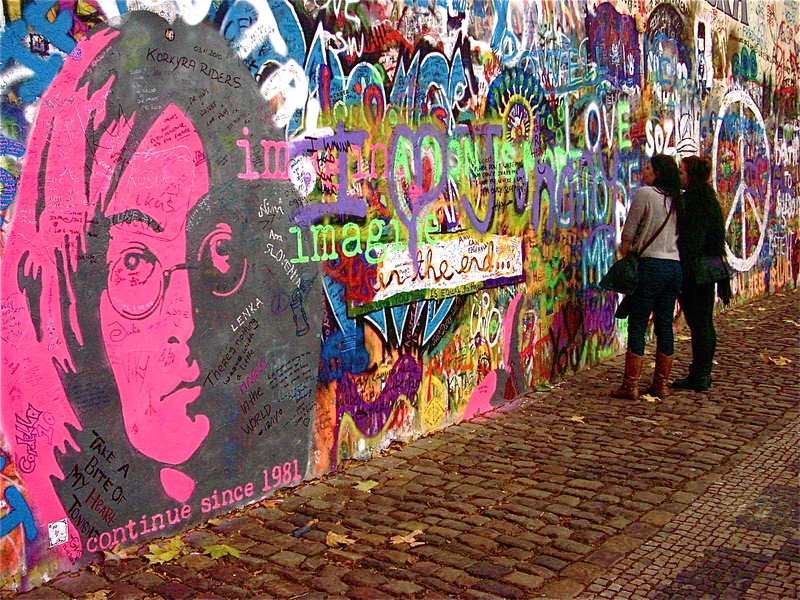 Although it was once a normal wall, since the 1980s it has been filled with John Lennon-inspired graffiti and pieces of lyrics from Beatles’ songs and in 1988, the wall was a source of irritation for the communist regime of Gustáv Husák. Read more here. Description: Along with his father, Heinrich Parler, he is one of the most prominent and influential craftsmen of the Middle Ages. 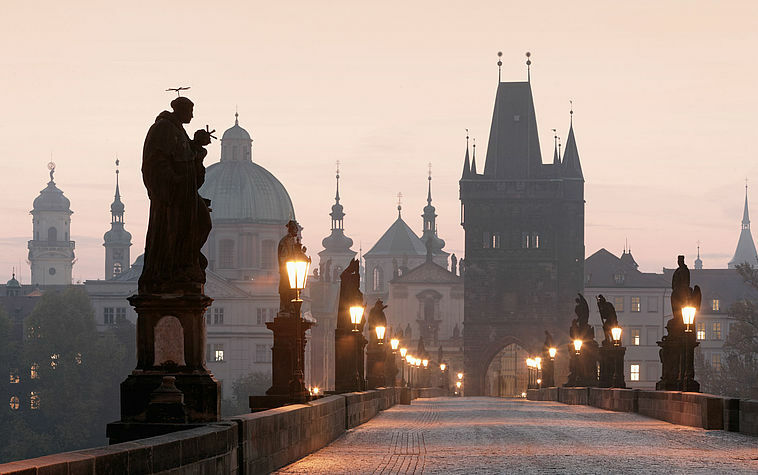 The architect of Prague’s cathedral was also responsible for this iconic bridge. Make yourself a favor by visiting this magnificent piece of Czech architecture at sunrise, when the morning fog is still around and the crowds are still sleeping. Read more here. Description: The kind of thing you’d never see unless someone points it out for you (my boyfriend in my case). 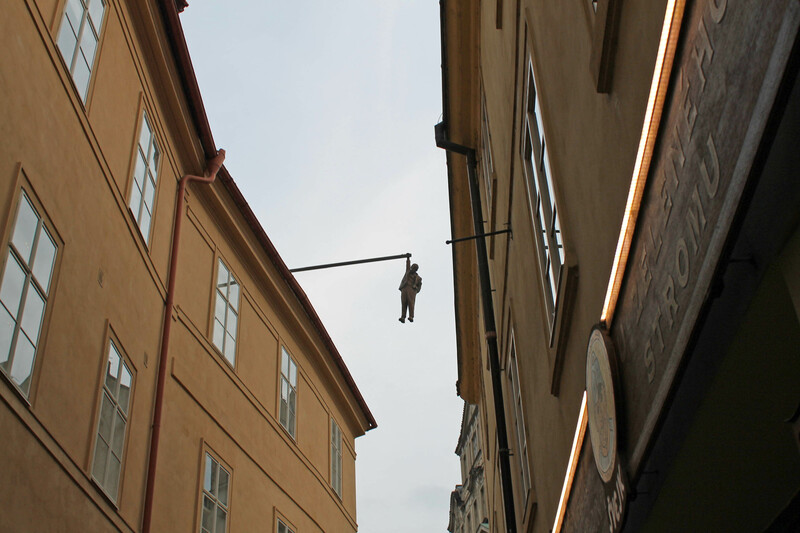 This unique sculpture in Old Town Prague depicts psychoanalyst Sigmund Freud hanging by a hand and pondering whether to hold on or let go. It is an unexpected and eye-catching-if not disturbing-image in an otherwise sublime urban area. Read more here. Description: If you are the kind of beautiful person who admires urban landscapes and smiles with a good view, don’t miss this rooftop within the old’s town heart. 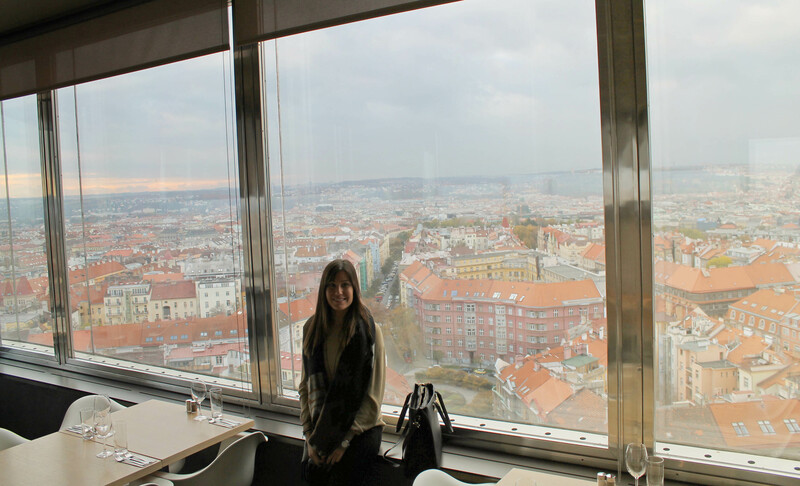 It overlooks the city in an authentic and grandiose way. Description: I have a deep admiration and respect for the architecture of the dead, which is always solemne and built to last. The final resting place of many composers, artists, sculptors, writers, and those from the world of science and politics includes the stunning the Slavín tomb. Read more here. Description: If you’ve read a similar article I wrote about Vienna, you’d see the similarities between both theaters. 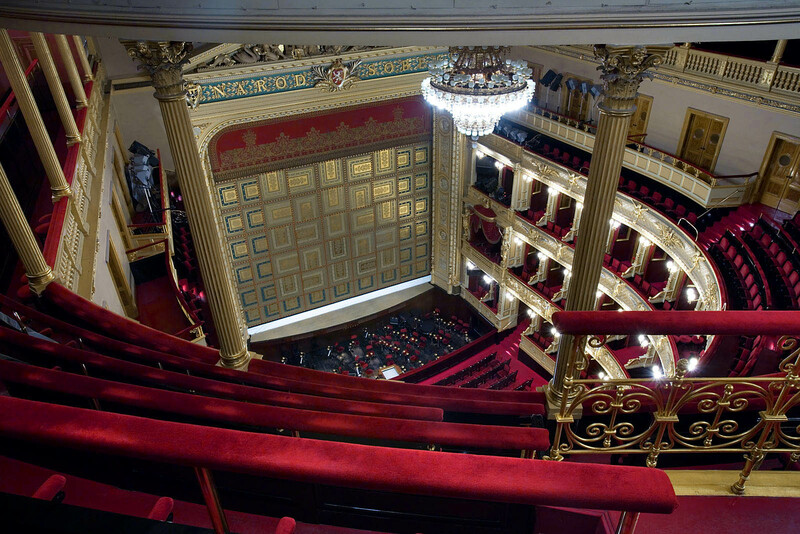 Today the National Theatre of Prague consists of three artistic ensembles: opera, ballet and drama. Although it closed for a long time, hey it’s older than 100 years, it’s now open to delight your eyes and ears. Read more here. 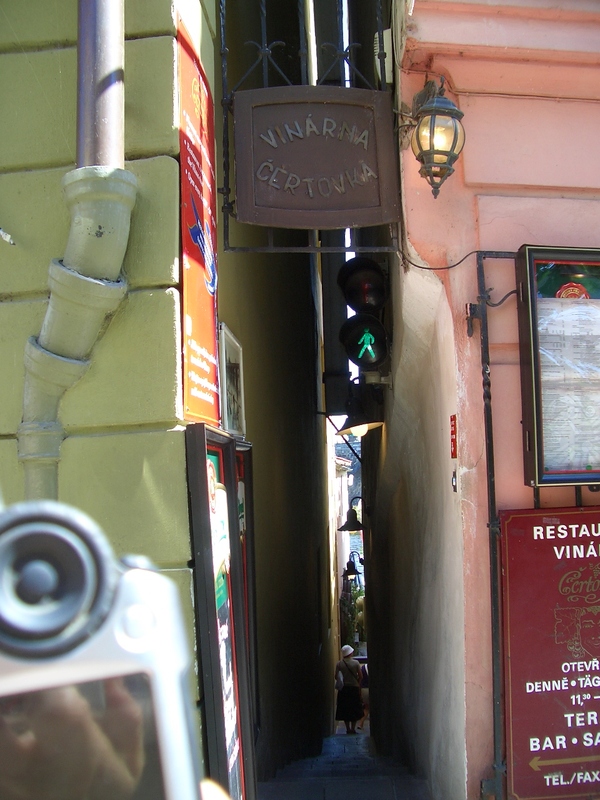 Description: The quirkiest of the list, this nameless alley leading from the street U Lužického semináře to the garden restaurant Čertovka is the narrowest street in Prague. It so narrow that it has to be controlled by a traffic light. The alley is only about 50 centimeters wide so if you are wider do not risk and rather avoid visiting this restaurant. 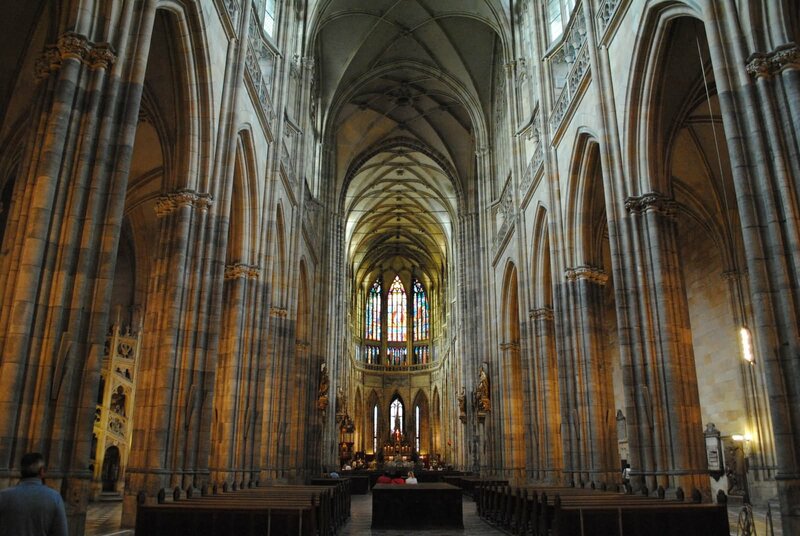 Tags: Architecture, Bohemia, Curiosities, Czech Republic, design, Europe, Photography, Prague, Travel, wanderlust. Bookmark the permalink. How long would you be there? have you visited before? Oh, my english ist to bad, we want to do that but not now. Berlin is a beautiful place! I’am born here and live my whole live here in Berlin! It’s a good town to visit! Number 4 is my favourite. By the way, did you see the Mucha Museum? What is it like from an architectural point of view?. Can you believe I didn’t know the museum? I just added it to the map – thanks so much for the recommendation. I didn’t know about the artist either so I am reading more about his work. What do you think of it? The synagogue is such a special building, isn’t it? I loved it too. I like Mucha very much, and have done so since my late teen years. My daughter loves Mucha and she was the one who told me, just the other day, about the Mucha Museum in Prague. I am glad you have added it to your list. I will. She’s very interested in what you are doing. This is flattering. Is she an architect/related to the arts too? Thanks kindly for sharing with her. No, her background is classical studies, Ancient Greek and Latin. But she loves art and history in general. That’s so interesting. Maybe one day I’ll meet you both. Is her name also Anne? Also, what a fine selection of Mucha pictures. Hi Bernie! Always good to see you around here 🙂 I’ve only visited once and I can tell I’ll visit again. Have you been anywhere else in the Czech Republic? It’s just a joy to look through your great pictures. Awesome post, thanks. Thanks Cecilia! Have you been to Prague? Stunning choices. 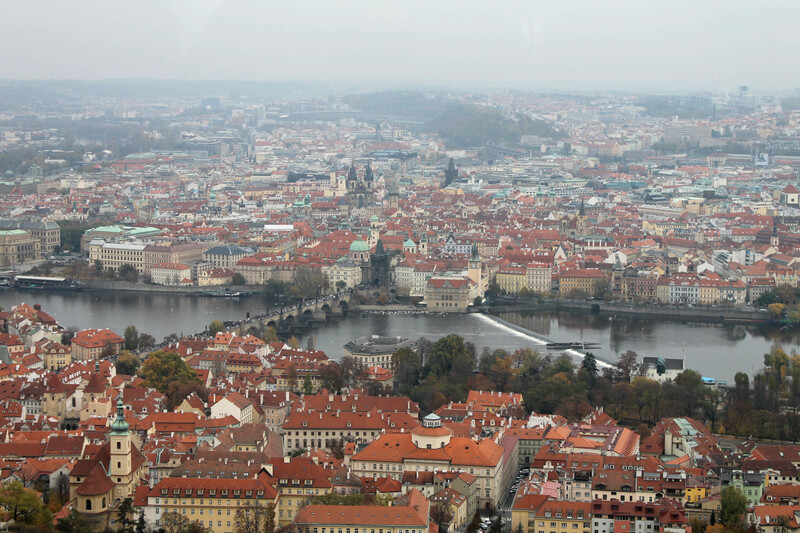 I have a huge weakness for Prague. We had the best Christmas holiday there and new year’s eve. Why on earth has no genius got to a time machine yet?! I want those very moments you know. From your list, I missed out on the cemetery. I know why. Adi is not a fan of them and I am. And I missed out on Strahov Monastery library too because by the time we had climbed up to the hill, it had shut but the views were just mamma mia. One of my favourites was St. Nicholas Church in Old Town. Did you get to go inside it? That sounds lovely, New Years in Prague. Life doesn’t get more romantic than that 😉 Although I bet it was cold, wasn’t it? Memory is enough to travel back sometimes I guess. Some cemeteries are pieces of art, but there aren’t for everyone. In London there’s a lot of them and some made me feel very sad. They are a cold reminder that time is ticking and that we may not be fortunate enough to have our loved ones forever. When we arrived to the monastery it was closed too ahaha. Apfelstrudel made the waiting easier 😛 I got to visit St. Nicolas, it was stunning but somehow there were too many religious buildings in this list to include another one. Oh no your list has a lot going for it. 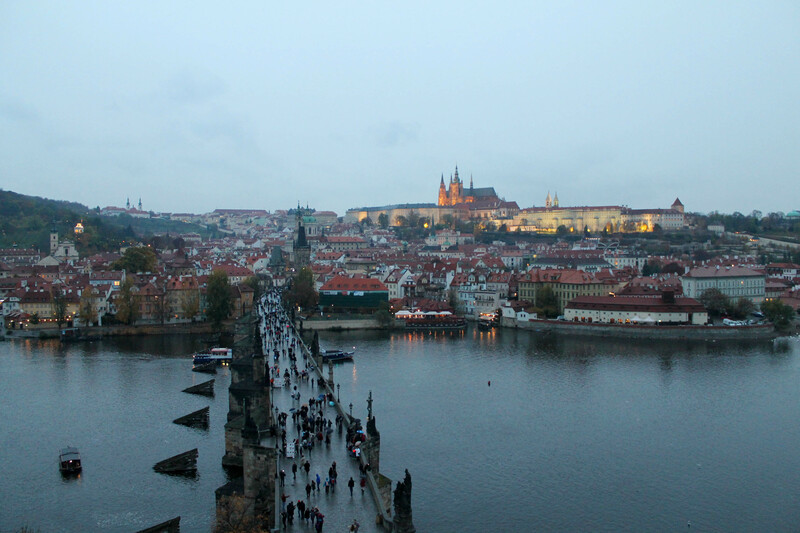 I mentioned it because the moment I hear Prague, it leaps to the fore for me. We all have our points of weaknesses when we travel, isn’t it? It was cold but not as numbing as Budapest which we had visited a couple of weeks before that. Prague by comparison seemed warm 😛 But it was cold alright. I like it you know. Shivering and walking, all bundled up inside warm coats and gloves and boots, red noses, and then the real deal – coffee/hot chocolate. That’s the spirit! Budapest sounds like a fun trip, including the red noses and the sweet treat at the end 😉 Cheers to future visits to Hungary! I love this place. Very nice post and awesome photography! Thanks kindly! 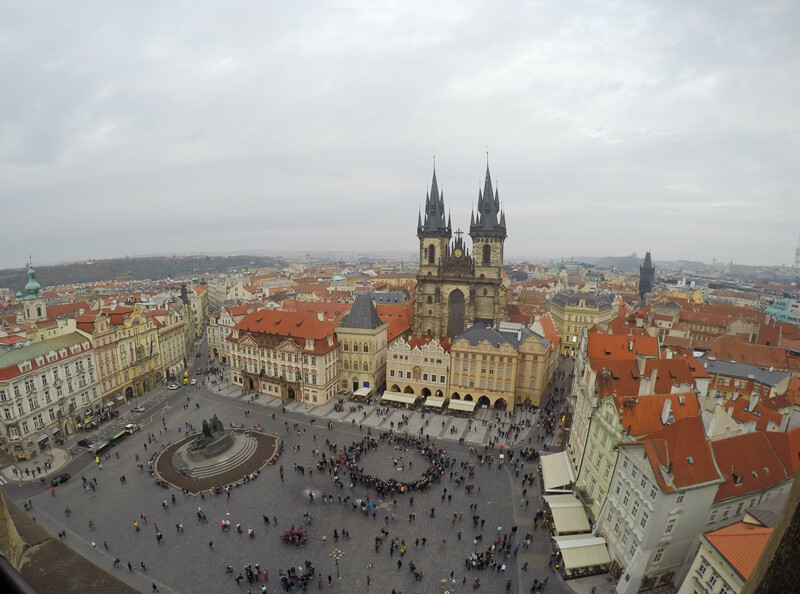 Have you been to Prague before? Un superbe article Virginia, Merci. Tony ton ami de France. Merci Tony, ça va chez toi? Gros bisous et à bientôt Virginia. Ohhh j’aime bien Londres! J’espère que tout se passe bien ici. Combien de temps tu viens? J’arrive la semaine prochaine pour Halloween. Thanks again miss Duran, inspiring as usual. Hi Ashwin, thanks for stopping by. Any favourites on the list? Stunning places to visit. Thank you for sharing. Thank you Jis, have you visited Prague? or maybe are about to visit?